These units, constructed from elegant aluminium extrusions, have fully adjustable shutters to provide a narrow 'curtain' of light directed at the work surface. 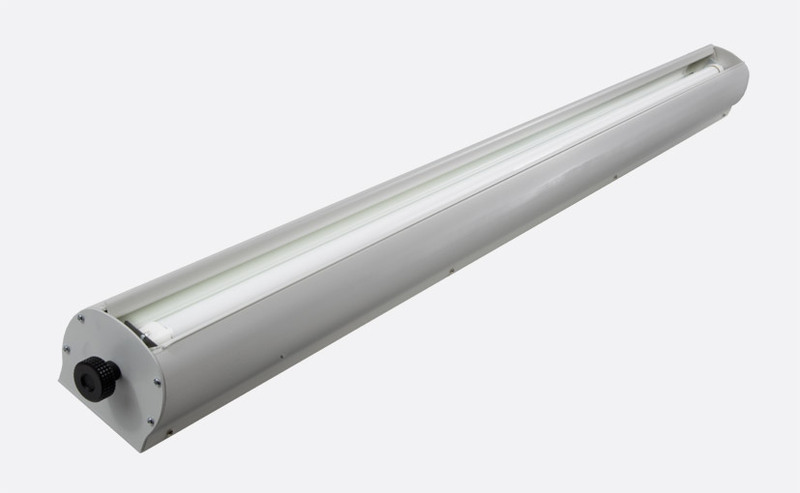 They have an integral electronic driver, and have LED Northlight tubes with a colour temperature of approximately 5500 K. The cases are available in three sizes, to take 600mm (10 watt), 900mm (12 watt), and 1200mm (20 watt) tubes, and are finished are finished RAL9005 Jet Black eggshell or RAL9010 Pure white matt powder coat. Spare lamps are also available. They are available in two different versions - without dimming, or with DALI/DSI & switchDIM dimming. The dimmable versions can be controlled either digitally by DALI/DSI control or by switchDIM. 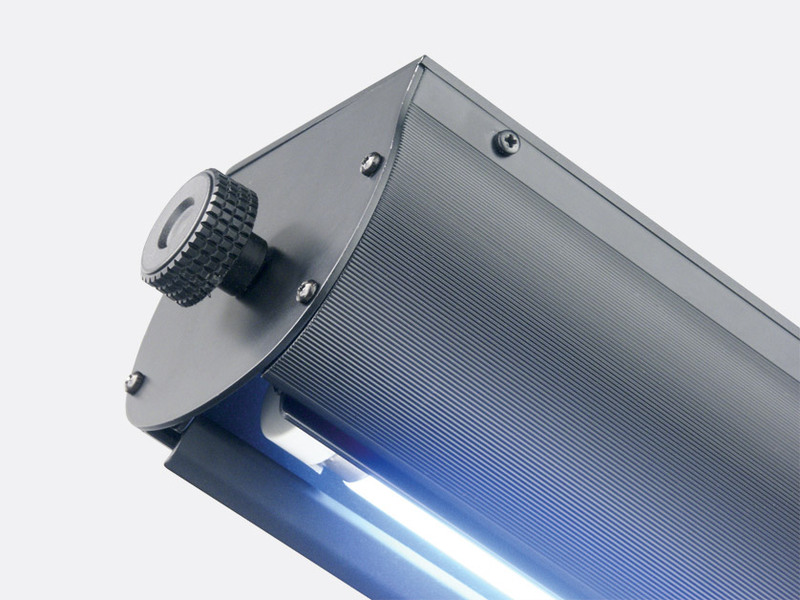 DALI/DSI allows the script light to be individually addressed and operated by commercial lighting control software (not supplied), allowing predefined levels, timed control etc. Operation via switchDIM requires the direct connection of a suitably rated push to make switch for dimming and switching. A brief push (<0.6s) will switch the driver ON and OFF, when pushed continually the driver will either dim or brighten. At switch ON the driver will return to the previous level prior to switch OFF. More than one script light can be controlled simultaneously and can be synchronised to 50% by a single 10s push of the switch. Note that push switches with indicator lamps cannot be used. 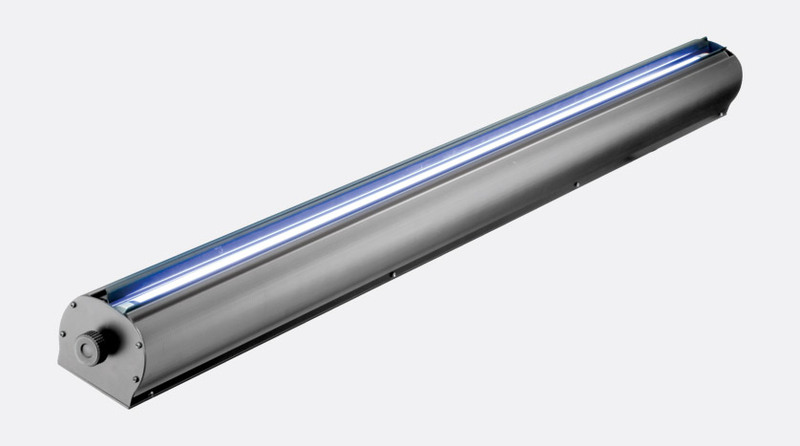 To special order, scriptlights can be supplied in other colours (minimum quantity 20 per colour).